Another 2 links: The first is the manufacturer website in English, and the other is a home-baker in The Netherlands who uses the machine. The comments section is worth reading and gives details that you can order the machine and have it shipped to your location. It is very pricey though, and perhaps the electrical considerations would not make it practical? Anyway, I shall stop here. Good luck with your choice! Wow!! looks very very yummy.... 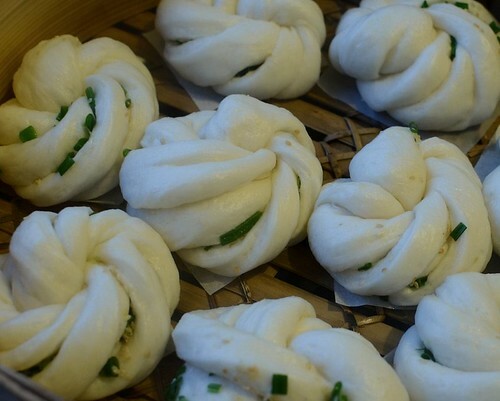 I must try this and eat this with pongteh chicken..
zurin: i've added spring sesame seeds buns for you, did tt quickly this aft:D how did your buns turn out? i mean the real flower buns lol. jasmine: hi! which part of the world r u writing frm? never heard of the haussler mixer until u told me n i am awed. kitchenaid was everybody's dream machine but the haussler mixer is even more cool n looks rock solid! i would LOVE to get one, even a small one n if i do, i'll sleep with it!!! does it just kneads dough? what about whisking eggs? Awww...your hua juan are so delicate and refined looking. When I make hua juan, mine look big and barbaric. I am going to try your rolling technique the next time I make it. I have a KA myself, the “Professional 5 Plus 5-Quart Stand Mixer” with the lift-bowl which I bought in 2009 instead of the Artisan because it was on sale, has metal housing and gears and a 450 watt motor vs. the Artisan's 325 watt. I'm new to baking and use it infrequently, so I can't tell whether the lift-bowl is superior to the tilt-head. I guess if you're used to a tilt-head, it would be inconvenient to re-learn the routine to use a lift-bowl instead. I didn't realize there are different types of baking powders. I guess I'd better start searching where I could get double action ones. 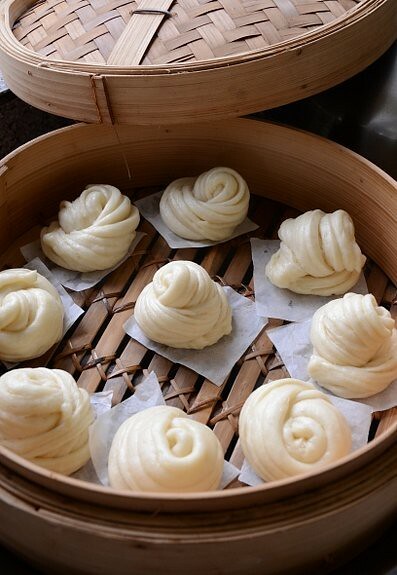 I need to get the bamboo steamers too. Nice buns! 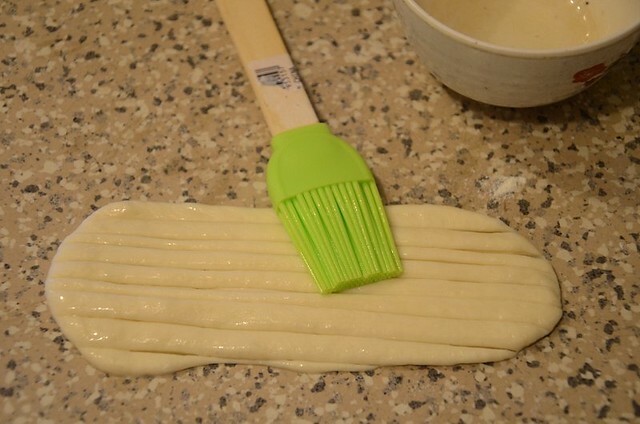 I have actually been making hua juan with your recipe for the past 2 weeks... What a coincidence you would re-post this again! 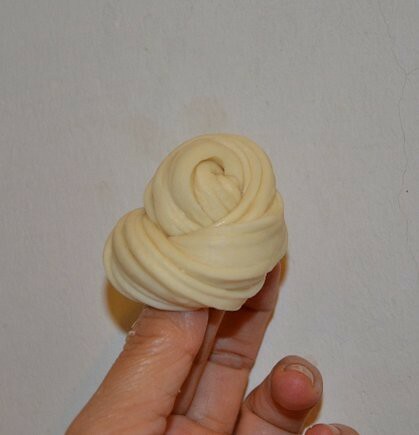 This is such a pretty way of shaping the buns. Thanks for the recipe and ideas! Your flower bun look so nice. I'm gong to make next week. i love steaming stuff. More easy to cook & healthy too. Tks for sharing. kikukat: haha i'd like to see what a barbaric hua juan looks like! keep trying, very soon you'll get better mantous than me. ccc: there are n they work better but if you can't get them, ordinary baking powder still wors for this recipe. cilly: you hv? tt's great! how did your hua juan turn out? may chey: yes steaming's so much healthier than frying. i hope your mantous turn out good. Mine turned out really well!! My parents are food "snobs" and they said that the buns tasted better than any restaurant buns... hahaha. I will be making them again and again... Super delicious! Next time, I will try to add a filling to them, maybe char siu, or even red bean!!! cilly: wah, so happy to know tt! it makes me happy when ppl cook at home n succeed with my recipes:) good job! Hi Terri. 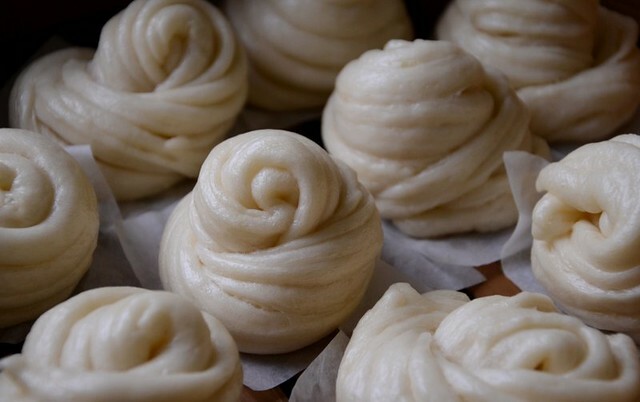 I have adopted your mantou recipe to make my paus. Excellent recipe - never fails! Thanks for sharing. 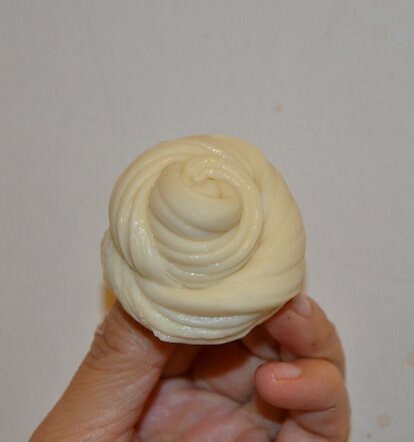 Nowadays I prefer to make flower bun because they are much easier and faster to shape than round paus!! 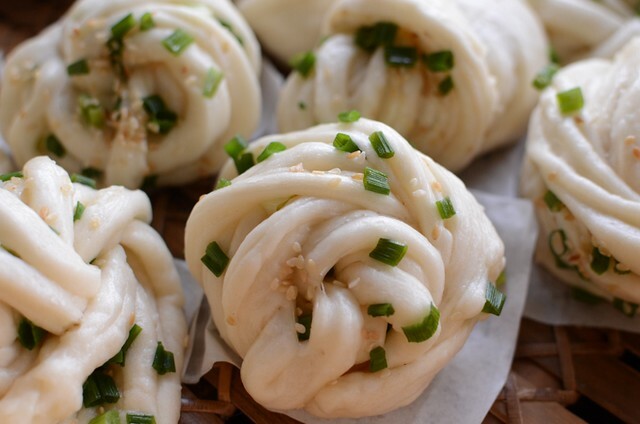 Was wondering if I can substitute the Pao flour with either all purpose flour or bread flour? Don't see rose flours in thailand! All baking powders are double or even triple action. That's why they're not called the name of an individual chemical e.g. Bicarbonate of soda, cream of tartar etc. Did you know you can shorten your links with AdFly and get dollars from every visitor to your short urls.